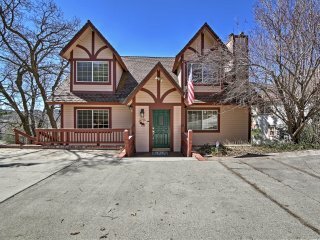 Lake Arrowhead House - 5 Minute Walk to the Lake! NEW! 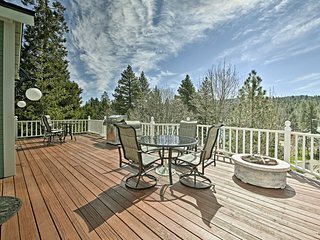 Home w/Decks 1 Mi. 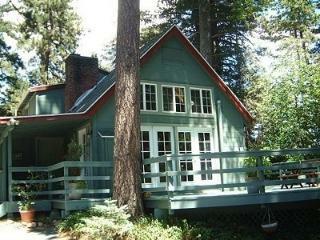 to Lake Arrowhead Village! 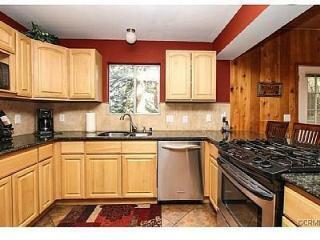 Great 4 bd located on Village Bay. 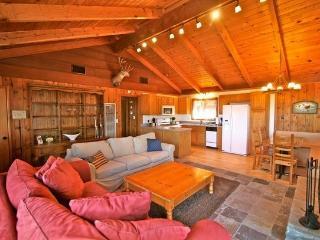 Enjoy private beach, kayaks, and SUP. 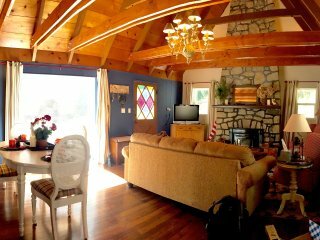 Cabin w/Mtn & Tree Views-1 Mile to Lake Arrowhead! NEW! 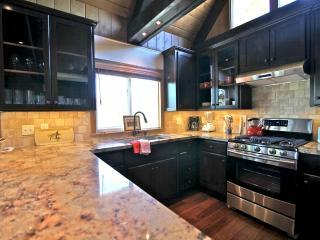 Lake Arrowhead Home w/Jacuzzi-2 Mi. 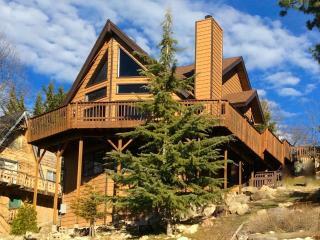 to Lake! “We had a good time” The house was nice and big. 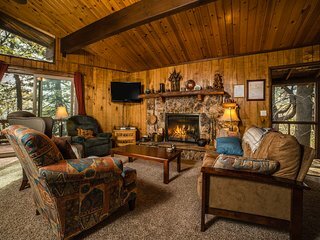 Out family really enjoyed the get away mini vacation. 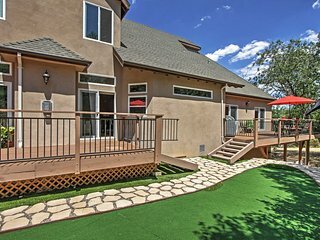 Highly recommend for a big group like our. NEW! 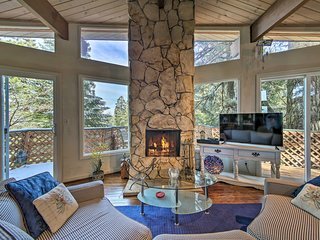 'HewLander Hideaway' w/ Lake Arrowhead Views! 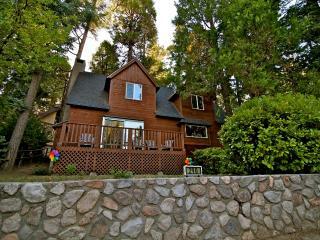 Spacious Home w/ Deck - 5 Mins to Lake Arrowhead! 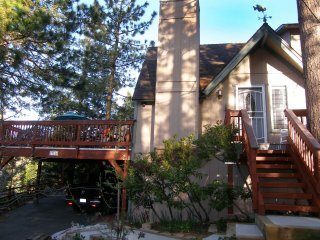 Great Home with 3 Decks & Views of Lake Arrowhead! 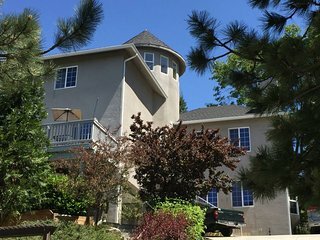 Lake Arrowhead House w/2 Decks Gorgeous Mtn Views! 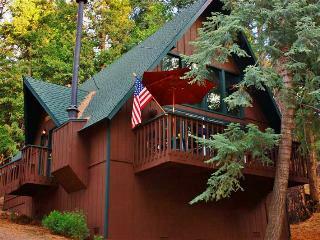 Ideal Cabin w/ Hot Tub & Lake Arrowhead Passes! 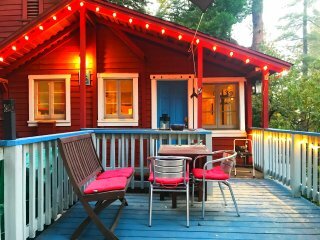 Lofted 2BR Lake Arrowhead Cabin, Private Location! 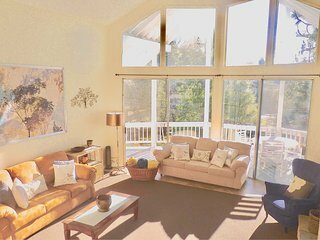 Lake Arrowhead House w/ Game Room & Lake View! 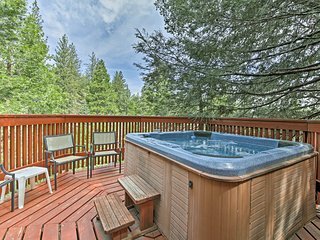 Nature Lover’s Dream w/ Seasonal Creek & 2 Decks - Foosball Too! 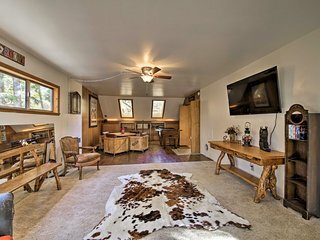 Cabin w/Mtn Views -2 Mi. 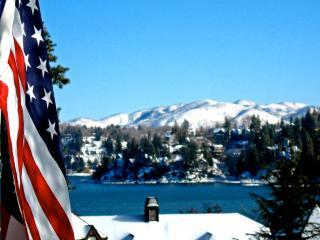 to Town & Lake Arrowhead! 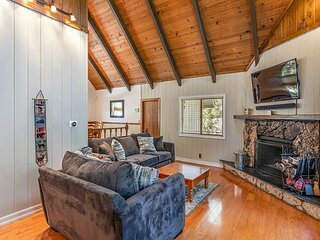 Located just a few steps away from the San Bernardino National Forest and less than 90 miles from downtown Los Angeles, Lake Arrowhead, CA is a vacation paradise. 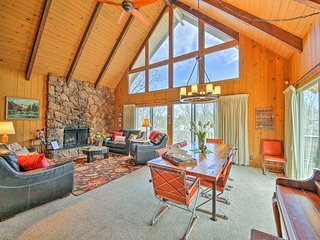 It's easy to reach, but the trails to scenic overlooks and beautiful waterfalls make this area feel like an unending stretch of pristine wilderness. 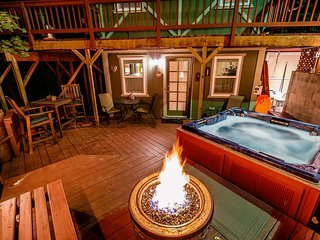 Come here for a picture perfect family vacation, a long weekend getaway with friends, or a romantic escape. 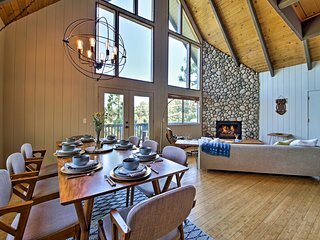 You'll find plenty of things to do in the Lake Arrowhead area, and the best way to experience it all is by staying in your own private vacation rental or seasonal cabin. 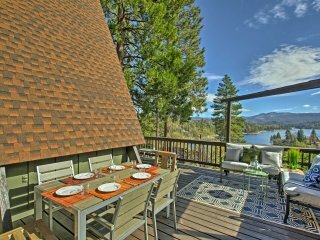 A condo rental can offer the room you need to store your outdoor gear and a private deck where you can watch the sun rise over the mountains. 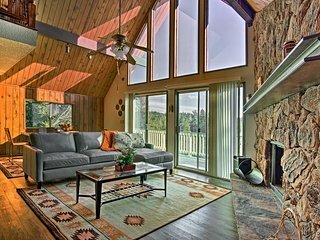 Experience the best fishing, boating, and rock climbing opportunities you'll find anywhere in the state and then head downtown for quaint shopping and craft galleries. 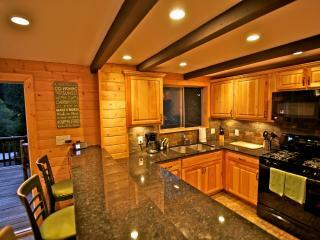 At night, retreat to your vacation rental and host dinner for your family and friends. 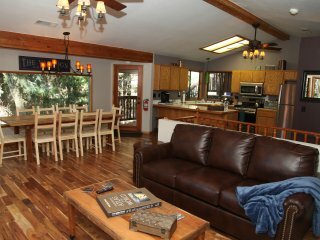 Visit the Wildhaven Ranch: This wilderness area and nature center is dedicated to research, educational programs, and nature conservation. 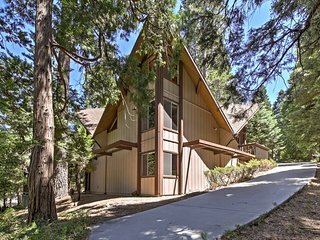 -Explore Lake Arrowhead hiking trails: Lake Arrowhead camping areas are perfect for a night under the stars, and the hiking trails wind through deep forest and along breathtaking mountain overlooks. 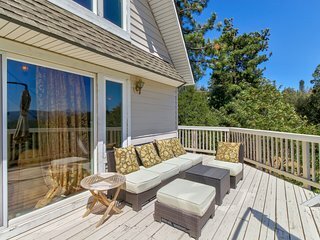 Go bird watching and wildlife spotting: This is a great place to have close encounters with elusive birds and native wildlife like eagles, ospreys, hawks, and black bear. 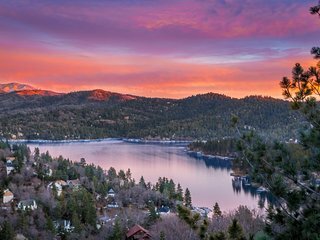 Experience Lake Arrowhead skiing: In the winter, go skiing or snowshoeing along the pristine, powdery back country trails. Go fishing: Rent a boat and head out on the glassy surface of the lake at sunrise to find bluegills, perch, trout, and bass. 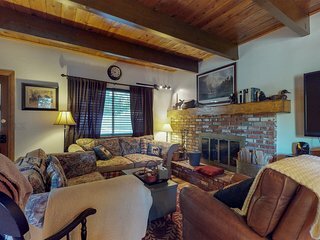 Join an Arrowhead tradition: During the first week of June, turn out for the Annual Antique and Classic Wooden Boat Show at Lake Arrowhead Village. See more than 40 beautiful wooden boats made by master old-world craftsmen. 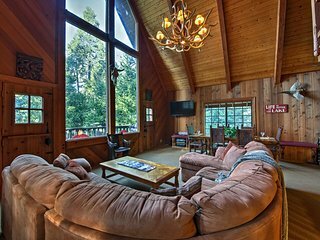 Every year, thousands of visitors come to this area to rent a cabin or condo for family reunions, weekend escapes, honeymoons, or Lake Arrowhead wedding locations. 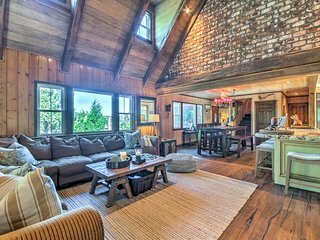 If you're among them, find a perfect vacation rental where you can relax, reconnect, and enjoy the beauty of nature. 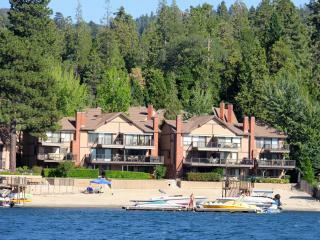 While you're visiting Lake Arrowhead, consider schedule side trips to Idyllwild or Russian River.